This is a guest post by Sean Kay. Professor Kay is chair of the International Studies program and professor of politics at Ohio Wesleyan University. He is also Mershon Associate at the Mershon Center for International Security Studies at The Ohio State University. He has written extensively on NATO and Europe, with his most recent book, Global Security in the Twenty-first Century: The Quest for Power and the Search for Peace (2011). In a recent Washington Post editorial, David Ignatius reported on a “big idea” that could “revitalize the U.S-European partnership for the 21st century.” The concept focuses on an “economic NATO” – a US-European Union comprehensive agreement to free up trade in goods, service, investment, and agriculture. Ignatius reports that this concept is advancing through the American and European bureaucracies while citing a German Marshall Fund study (PDF) showing that a 50 percent reduction in non-tariff barriers could boost GDP by $160 billion in Europe and $53 billion in the United States – higher for the US if all barriers were lifted. The NATO motif is instructive because the foundations of the transatlantic relationship need new thinking. NATO’s military utility is increasingly in decline – and pressures are coming for deep American troop reductions in Europe. Yes, NATO is sending Patriots to Turkey to hedge against Syrian missiles and has embraced an innovative ballistic missile defense system. But these deployments do not require tens of thousands, or even thousands, of American troops. A structural legacy of European dependence on American military power was exposed in the 2011 Libya war where even “leading from behind” required a major American contribution to the air war and increased American concerns about burdensharing (already heightened over Afghanistan). America is rightly pivoting its military priorities away from Europe to save money and focus on other global concerns. This is logical and should be taken to the next level as part of a new transatlantic bargain. A clear presidential statement declaring America’s goal to help the allies so they they can fight a Libya-style air war and maintain a Balkans-style peace operation without the United States can facilitate European defense cooperation which better compliments American power. 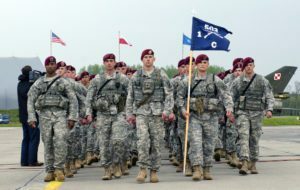 Limiting America’s role in NATO as a strategic reserve, emphasizing Article 5 collective defense commitments, will keep the foundations of the alliance alive and place Europeans rightly responsible for their own regional security concerns.